In 1943, a few local writers from southwest Missouri decided a writers’ group was needed. 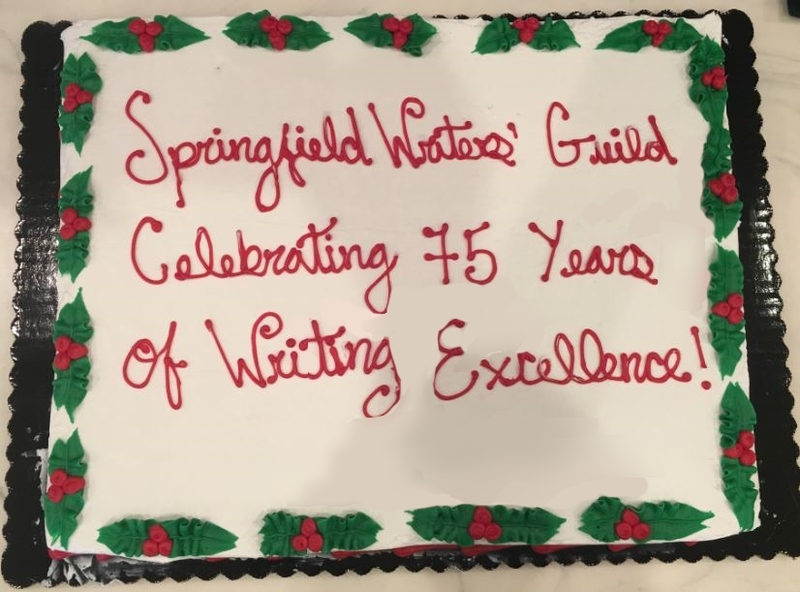 The Springfield Writers’ Guild (SWG) was formed with the first president being Donna Ashworth Thompson. It is one of the first chapters of the Missouri Writers’ Guild (MWG) which was founded in 1915 by Walter Williams, the founder of the University of Missouri’s School of Journalism in Columbia, MO. There are sister chapters all over the state. The SWG operates as a non-profit organization under the State of Missouri with a license that is renewed bi-annually. Encourage local writers in their craft. Provide mutual support among members. Encourage aspiring writers to become published writers. Encourage writers in the marketing of their literary material for payment. The Guild accomplishes these purposes by emphasizing mentoring, genre interest, motivation, publishing, and writing skills. The SWG began meeting in one of the former Heritage Cafeteria restaurants on Sunshine Street in Springfield. Outgrowing that location in June 1990, the group moved to the Heritage Cafeteria on Battlefield Road. When the Heritage Cafeteria folded in August 2016, the SWG began an area-wide search for another meeting place. In September of that same year, the group began meeting at McAlister’s Deli on West Battlefield. The Guild’s annual membership averages around 100, with some members attending from other states like Oklahoma and Arkansas. Two “at-large” members live in California and Oregon. It is a diverse group of writers representing multiple genres … science fiction, fantasy, horror, mystery, thriller/suspense, romance, women’s fiction, inspirational drama, and variations of all. The group includes a mix of men and women, young and old. There are scriptwriters and songwriters as well as historical and creative nonfiction writers. The writers gear their stories toward children, young adult, and adult audiences. Annual dues started out at $4 before gradually increasing to $6 in 1991, $8 in 1996, $10 in 2003, and the current rate of $15 in 2006. The dues cover incidental costs of producing and sending a newsletter, contest prizes, and speaker fees. Today, Mentor Hour (held from 11:00-noon) is one of the highlights of each monthly meeting where Guild members bring a sampling (three pages) of their writing for feedback and constructive critique by other members. It is a time of learning and camaraderie, and sometimes mild bantering and fun. Nick Weyland is the appointed Mentor Hour coordinator. In 2002, the first SWG membership directories were printed and given out to members. Three years later, in 2005, the Guild almost disbanded due to lack of members and leadership until Phillip Hood volunteered to serve as president. Under his leadership, the group grew and found stability. Hood directed the Guild to hold a writers’ conference in 2006 and also started the SWG website in 2002. In 2007, Terry Smith was named the Guild’s Webmaster and continues to serve in that capacity. The website was updated in 2015 by President Wayne Groner and again in 2017 by President Yvonne Erwin. 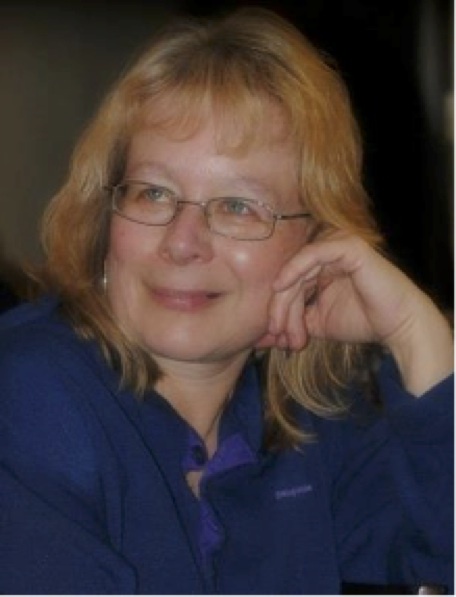 Candy Simonson assisted with the update and changeover from Yahoo sites to WordPress with a “free” site. Wayne Warner and Sue McDonald are the SWG’s longest honorary lifetime members (HLM). Warner joined in 1971 and served as president from 1975-1976, and later served as president of the Missouri Writers’ Guild. McDonald joined in 1975 and was the SWG’s president from 1979-1980. Other honorary lifetime members (HLM) include Marilyn K. Smith (joined 1986), Larry Cunningham (1987), Theresa Bade (1988), and Wanda Sue Parrott (1988). Smith, Cunningham, Bade, and Parrott became HLMs in 2013. Bade served as president from 1997-1998; Cunningham was elected president in 2011; Parrott was president in 1996, and Smith served several years as Secretary and Director-at-Large. In order to be accorded HLM status, a member must be consistent in attendance for twenty-five years and served the Guild in some type of leadership capacity. LeeAnn Russell (7/26/42-1/11/2017) had the longest running time on the SWG Board, serving a total of 30 consecutive years in every possible capacity. Russell loved the Guild and served as President in 1986-1987 and 2007-2008. She was also was Vice-President three times; Secretary twice; Treasurer two times; Director-at-Large eight times; Contest chair four times; and Historian from 1993-2016. She joined the SWG in 1974 and took special pride and honor in preserving the Guild’s archives. In 1999 she was accorded the title of Honorary Life Member. An award-winning poet and photographer, she placed over 800 times in various contests. Her booklet, How to Write Poetry, From Ballad to Villanelle helped many poets. Russell passed January 11, 2017. The first anthology was put out by the Guild in 1995 under President Barbara Quin. The most recent anthology, Creative Collections, was published in 2015 under President Wayne Groner and is currently available on Amazon. It highlights stories of SWG members with nostalgia, romance, science fiction and more. 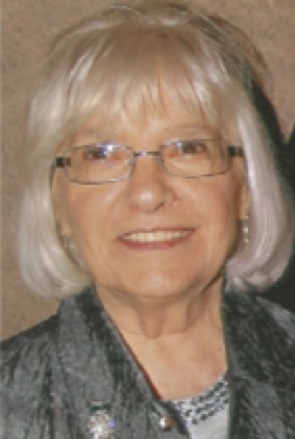 Yvonne Erwin was recently elected as President for the 2019-2020 term, which will give her the longest running time as President (2012-2014, 2016-2018, and 2019-2020). She has served on the Board for ten consecutive years, serving also as Vice-President, Secretary, Director-at-Large, and Contest Chairperson. Erwin is the author of women’s fiction and has three books on Amazon: Discovery of Joy; The Sisters of Madelaine Lane, and A Glimpse of Glory. You can find her at y-write.blogspot.com. Springfield Writers’ Guild meets the fourth Saturday of every month (except December) at McAlister’s Deli, Battlefield and Kansas in Springfield. Mentor Hour (11:00-noon) – Lunch with fellow authors/writers – Speaker (12:30-2:00). Yearly dues are $15 (renewable in January). Visitors are welcome at no charge. Please have Nick Weyland, Mentor Coordinator,contact me at jrobinson04@yahoo.com…Thank You! i recently took a break from writing and selling computer programs to write a math book. Calm Down! It’s Only Math .. Learn Math Without Having to Learn Math. i wrote it for people who want to learn a little more math and don’t want to strain their brain. The book (paperback and kindle ebook) is available on Amazon. i have been unable to find anyone who can take the file i used to create the amazon kindle ebook and put an ebook on apple’s ibooks store .. apple said that since i use windows computers i have to have someone else do it for me .. i would be willing to pay for the service. I’ve been writing poetry for some time now but dont know how to follow up to see if its good enough to get published. Shayne, joining a writers’ group where others can read and critique your writing is a great help in honing your craft. There are several poets’ groups in the area. We also have a few poets in our group. You’re more than welcome to come and visit. We welcome you to visit our group, Sandra. There are other authors, editors, and publishers in our group who may be able to help.